January 23rd, 2014 | Moving For Work, Moving Tips. There’s no doubt that moving can take some adjusting. Relocating to a brand new destination can mean building new relationships, getting plugged into a new community, starting new jobs and the list goes on. Tackling this can seem like a daunting task. Can you imagine moving 14 times in 20 years? 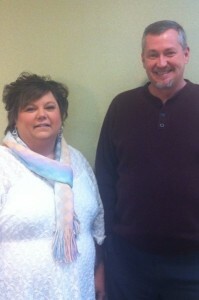 Kevin and his wife Traci, Senior Move Manager, have worked a combined total of 19 years at Wheaton World Wide Moving. Before joining the van line, Kevin, Traci and their two sons, now 25 and 28, grew very accustom to life on the move as a military family. Of course, it only made sense for them to work for a moving company after being required to move multiple times in the military. Having such a perspective allows them to empathize with many of the customers. In this blog they offer insights only seen by those who have experienced both sides of a military move. There are certainly challenges that can arise with raising kids in the military. Traci offers some positive tips. The Myers’ made a special effort to connect ahead of time with the teachers on the bases to which they were relocating. Opening the communication for their children’s needs from the beginning made for a smoother transition. They viewed frequent changes and relocating as a means of bringing their family closer together. The Myers’ depended a lot on one another during the moves and were able to come out stronger. The military offers a great sense of community. Reach out to new neighbors in the area to lean on for support. They are some of the few people who fully understand the changes through which you are going. Make a special effort to stay connected to past friends. Create a ‘group message’ on Facebook to where you can easily post updates to your current location and happenings. Or send out a yearly letter to friends with simple updates and contact information. Most moms can understand the pressure of maintaining a clean house. But have you ever gone through a base inspection – they are serious about their cleaning! It’s easy to get burnt out on packing, especially when you are doing it so frequently. Create a plan around your packing process so that you are able to reward yourself after. You can potentially spend a lot of time packing when you are moving with the military, keep it to a minimum if you are able to!